When you use Team Foundation Server Source Control you certainly know about history. Sometimes you want to see the history of a single file and see how certain pieces of code ended up there. Who did that and when was this done. In TFS 2010 you get the possibility to annotate your file. Simply right click a file in Solution Explorer or Source Control and choose Annotate. When you click this, the latest version of the file is loaded with annotations on the left side. The blocks on the left show you the changeset number, the author and date. When you click the changeset number, the changeset details open directly. It seems like the annotations apply to the entire changeset but not to individual source code section changes. Not sure if I am missing something. I think I’ve used other source control systems (Mercurial?) where you could annotate line-by-line. Thanks for the post and helpful screenshots! True! Annotations are for a changeset but when you open the file you see which lines were modified in that particular changeset. Not the same but perhaps worth looking at If you want to see line by line,. 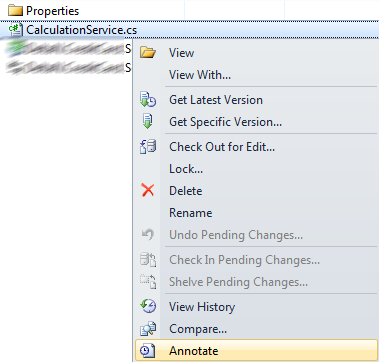 Take a look at the code review feature in vs2012. I can use the annotate tool and it works just fine, but the code is displayed in black & white only, without the usual helper colors. Do you have any idea about what can be the reason and the solution to this issue? What if I enter new lines in my code? Does the annotated data (to the left) move down correspondingly? Is this the same if I remove one of my code lines? Yes new lines is a change, so you will see the changeset in which the new lines were added. 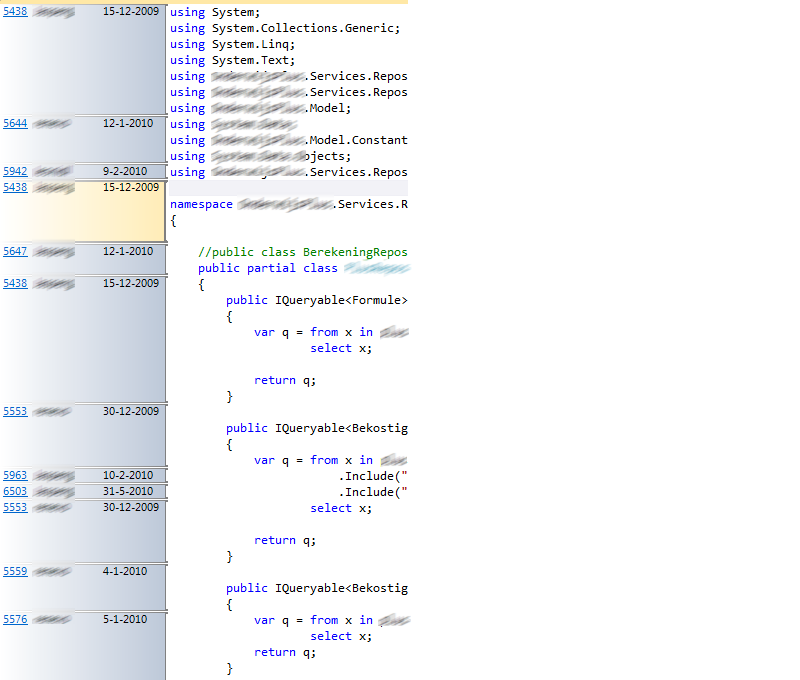 Removed code will not be shown because you annotate the latest version which does not have these lines..